Don’t Give Up Chocolate for Lent! Resolve to Defend Your Church’s Religious Freedom for Lent! Giving up chocolate for Lent will not save our Church and will not save our country from the loss of religious freedom that radical secularism demands. Resolving to defend our Church and country from this error are the only hope to restoring our freedom of religion. So, get out of your comfort zone because the alternative to religious freedom is extremely uncomfortable. What do we need to do to defend the Church? We need to work now to remove false community organizations from our parishes. We need to educate many more Catholics about community organizations‘ manipulation of Catholic social teaching and how it fools Catholics into acting and voting against a Catholic conscience. The manipulation by these community organizations leads to illegal mandates like President Obama’s HHS contraception, sterilization and abortifacient mandate. President Obama is a product of this manipulation of Catholic social teaching through the community organization known as Gamaliel. He worked for Gamaliel in Chicago. Defend our Church with these steps and you will do tremendous good. You can even eat chocolate while you do it. This entry was posted in Uncategorized and tagged false community organizations, gamaliel, HHS mandate, Lent, Lenten resolution, President Obama, radical secularism, religious freedom. Bookmark the permalink. 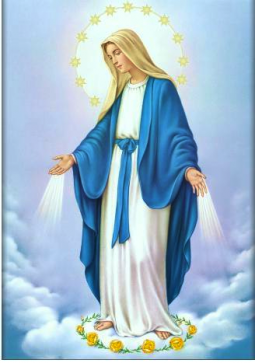 I do think we need to take action as lay Catholics but I think part of our action should be to implement what Our Blessed Mother asked of us at Fatima–pray the rosary everyday and wear the brown scapular. We need to be fortified with spiritual food when we face the enemy which is among us. Mary help of Christians, pray for us. The message of Fatima is much neglected.